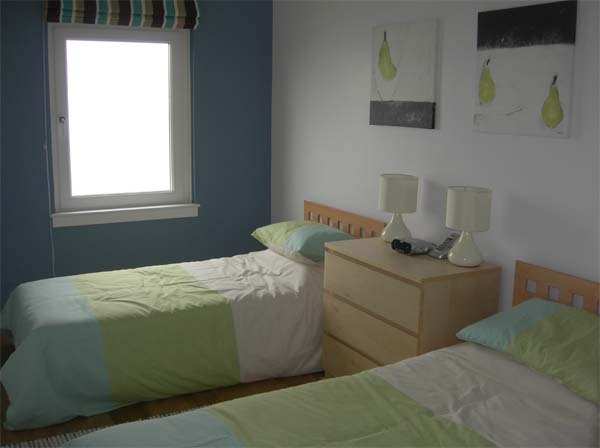 Beach View Apartment provides five star quality accommodation for four people in two bedrooms. 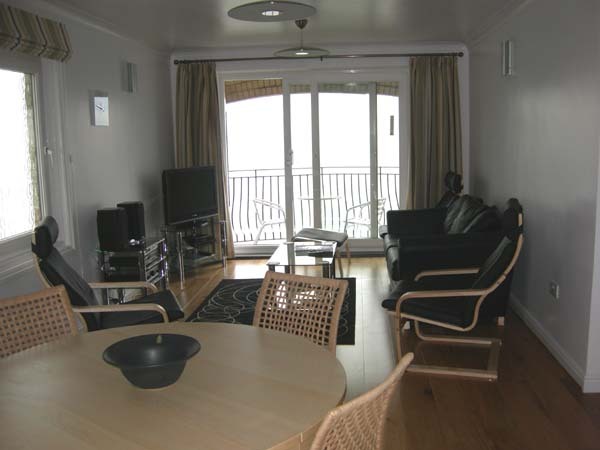 The apartment features a 25 foot long living and dining room from front to back of the apartment with doors opening out onto a balcony overlooking the beach and sea. Both bedrooms, as well as the living room, have views out across the English Channel and to the beach and the newly build harbour. The apartment has its own entrance from the street one floor below with a single internal flight of stairs. 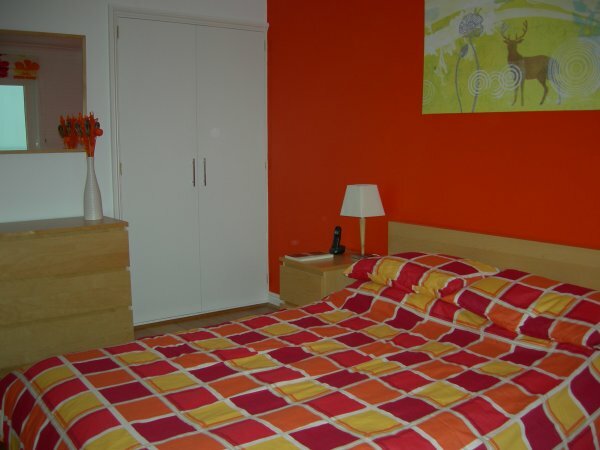 Rooms are decorated and furnished in contemporary style. All beds have 3 in 1 duvets to cater for the different seasons. 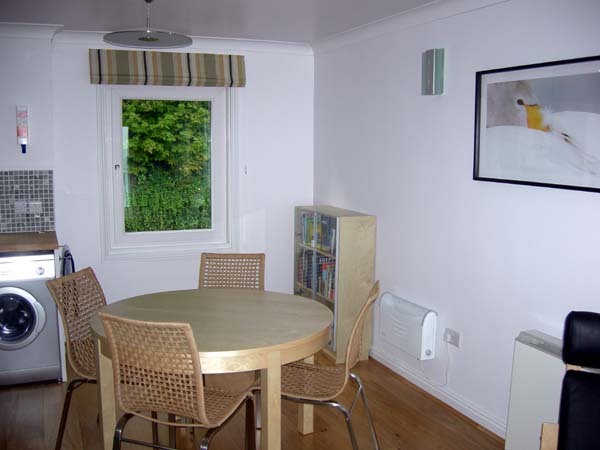 There is a fully equipped kitchen in an alcove off the dining area. Wifi is available throughout the apartment (WPA encrypted – password supplied), although no PC is provided. Because of the entry stairs the house is unsuitable for immobile disabled and we regret that pets cannot be accommodated. A high chair and travel cot are provided for young children. Beach View Apartment is no smoking throughout. A large through room with a leather settee, leather armchairs and round dining table for four people which extends to seat six. There is a curved screen HD smart television with Freesat, DVD player and books – including maps, walking and cycle guides. The hifi has a CD player, FM tuner and iPod dock. An Internet radio is also available, giving access to most radio stations worldwide (without requiring a laptop or PC) and there’s USB charging sockets. A patio door leads to the balcony with space to sit and soak up the view. There’s even a pair of binoculars to keep a watch on the passing cruise liners. 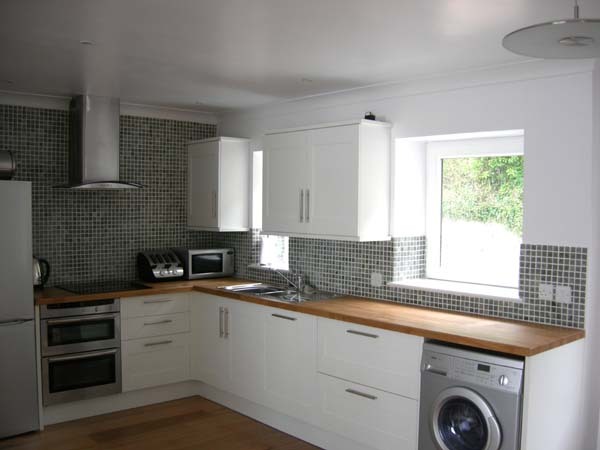 A fully equipped kitchen to the side of the dining area, with crockery and cutlery for six people. Appliances are all Bosch or NEFF and include ceramic hob, electric double oven oven and grill, full size dishwasher, washer/dryer and fridge/freezer. There is also an iron and ironing board, toaster, electric kettle and microwave cooker. 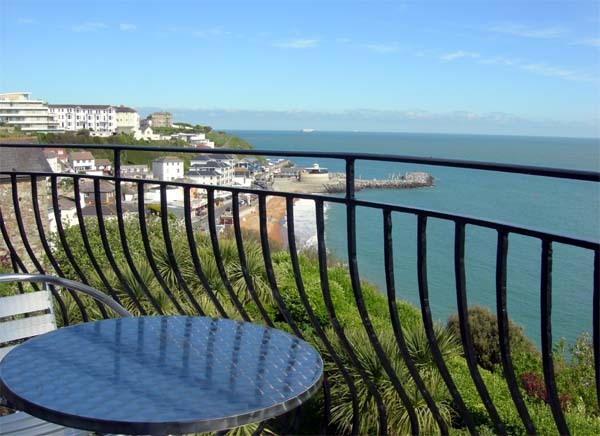 A comfortable room with a king size bed and duvet, built in wardrobe, drawers, mirror, ceiling lights, clock radio, hair dryer and a stunning view over the channel and to the beach. Situated furthest from the living area (and so suited to children who go to bed earlier) this room has two full size single beds with double duvets, built in wardrobe, drawers, mirror, ceiling lights, clock radio, USB charging sockets and a stunning view over the channel and to the beach. 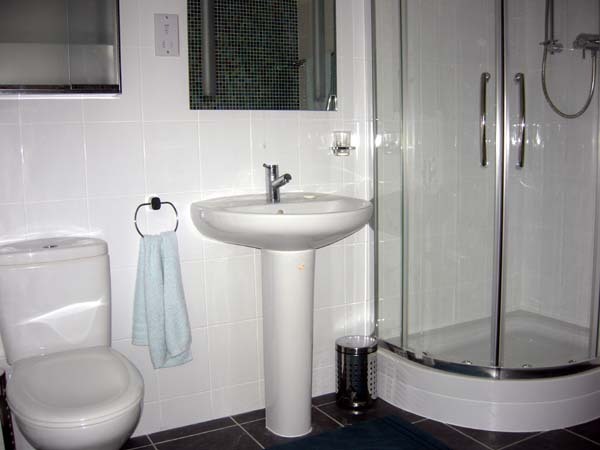 A generously sized fully tiled bathroom (walls and floor) with full sized bath, separate large corner shower cubicle with power shower, toilet, wash basin, ceiling spotlights, illuminated mirror and shaver point. There is a small secluded patio garden with two wooden chairs and a coffee table a short walk down the cliff from Beach View Apartment. A sun lounger for use in the garden is kept in the apartment.